Heaps of captured arms have been a symbol of victory since time immemorial. 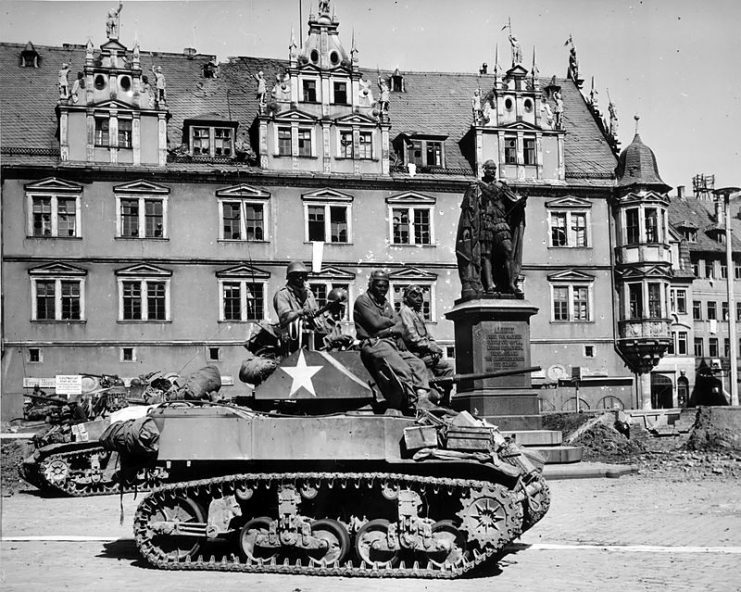 The Second World War was no different, especially for a Nazi regime steeped in the quasi-historical mythology of Germanic glory. Imagery is one thing, but the convenience of capturing huge numbers of weapons was not to be sniffed at, and the sheer scale of war materiel that fell into German hands from the annexation of Austria onwards would prove to be an administrative and practical challenge. Here we have a book that appears, at first glance, to be on the light side when it comes to content, but do not be deceived because this product is a substantial piece of work. This is the ninth volume of a series I haven’t encountered previously, an omission I hope to remedy because the quality of this volume is outstanding. We have seen other books based on the photography work of the Propaganda Kompanien before, and it is always a pleasure to see the impressive skills of the PK photographers presented in a straightforward and uncluttered way. I really like this book. 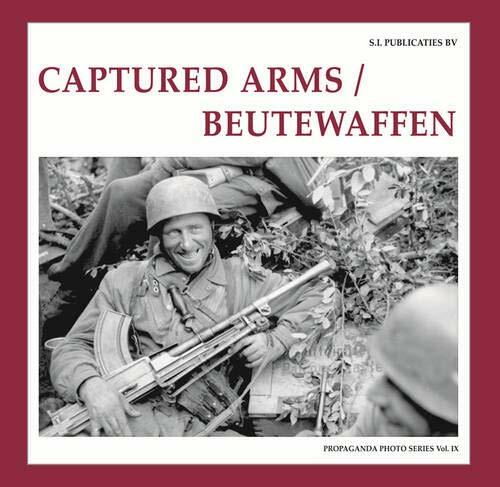 Author Guus de Vries looks at the vast range of captured small arms used by the Germans in World War II and explains how they managed to acquire the sometimes bewildering volume of rifles, machine guns, and pistols that fell into their hands. We also see how they pressed arms manufacturers in occupied countries into producing weapons for the Nazi war machine. The author presents 14 chapters, nation by nation, where a dazzling array of firearms are on view. It is fascinating to see how the Germans coped with all this weaponry, some of it from the arsenals of the Kaiser and yet more from the ruins of the Austro-Hungarian empire. 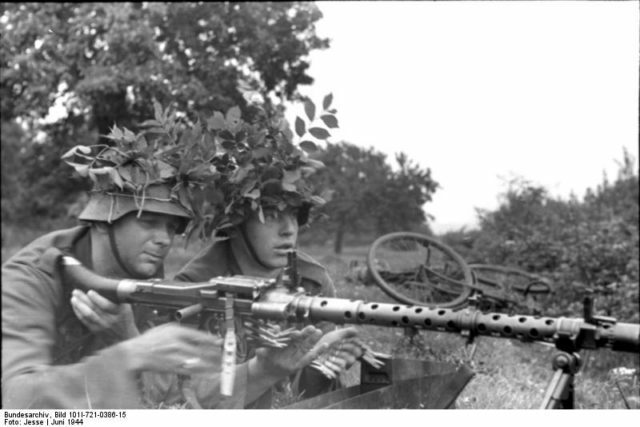 The Germans managed to find a use for some quite elderly weaponry, and there was always scope for modification. 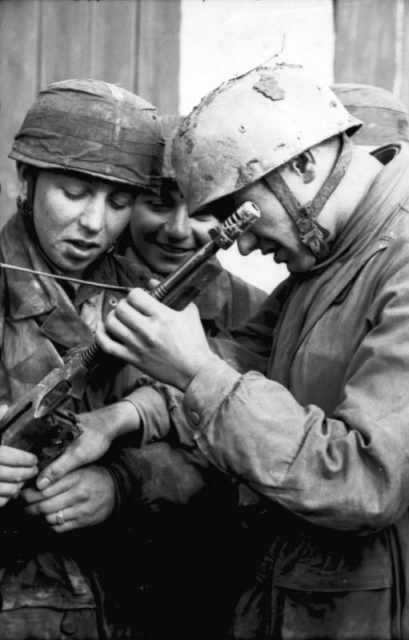 In particular, weapons were modified to allow for standardization of ammunition because, in addition to the guns themselves, there was a wide range of calibers to contend with. A sneak peek at the introduction tells us that in August 1944 the Germans had close to 158,000 captured machine guns in their inventory. That is a lot of guns. Try getting your head around having to find a use for upwards of two million Mosin-Nagant rifles. The stats alone are mind-boggling, but armies are efficient bureaucracies, and the charts of German designations for individual weapons seem to go on forever. (Thus a Gewehr 281(e) is the trusty SMLE No.3 Mk 1.) You can enjoy a few happy moments going through the list finding the weapons you are attached to. The individual chapters have plenty to keep us interested. We see all manner of weaponry in close up as well as general use. Lots of this stuff went to the Luftwaffe or the rainbow of client forces doing the Nazis’ business for them. 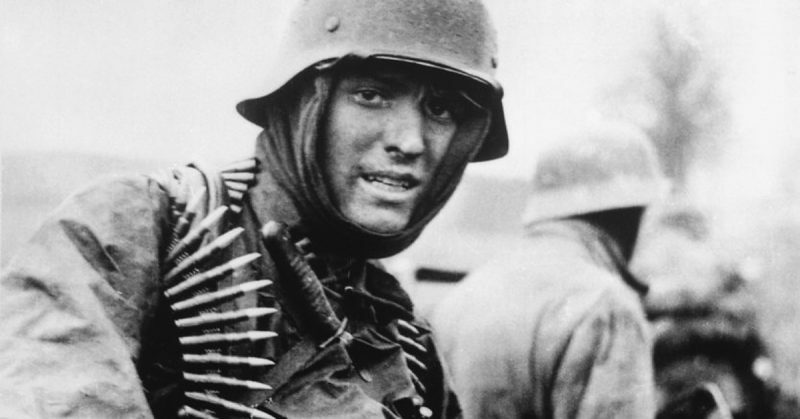 The Germans were also very good at equipping these motley armies with war booty to save their own stuff for themselves. Needless to say, as their prospects became less and less hopeful, the Germans found a lot of this captured weaponry essential to make up for shortfalls. Volkssturn units were regular beneficiaries of this sort of kit. I suppose that a side effect of all this is to make us wonder just how much of this stuff ended up in Soviet warehouses in 1945, or did it all go to scrap? Statistics and the information on weaponry are all very impressive, but I also found the photography absorbing. The quality of the imagery is first rate, and there is much here to assist model makers and living historians. I’ve taken a good number of snaps of Heer and SS re-enactors using a range of weapons from ZB 37 machine guns to M1 carbine rifles, but by far the most common are PPsh sub-machine guns. War film buffs will remember such a gun was the chosen weapon of the hero Steiner in Sam Peckinpah’s Cross of Iron. From the book, we learn that these guns were much prized with something like 15,000 out of a total of many more thousands captured being set aside for conversion to take the 9mm Parabellum cartridge. 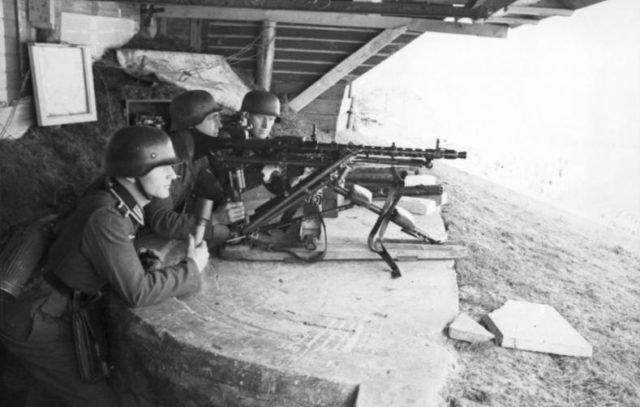 The Beretta 38/42 sub-machine gun was just as popular, and the Germans had 150,000 of them made in 1944. These statistics seem bonkers – and they are, encouraging me to repeat my general question about where all this weaponry ended up when the Nazis were defeated? There really is a lot to look at here, and I’m still finding bits and pieces of information to intrigue and delight. Mr de Vries has produced a very tidy book that looks great and provides a great deal of information. The Dutch publisher’s titles are distributed by Casemate in the US, UK, and beyond, and there are others in this series that promise to be equally as interesting and reliable. I thoroughly recommend Captured Arms to the house.